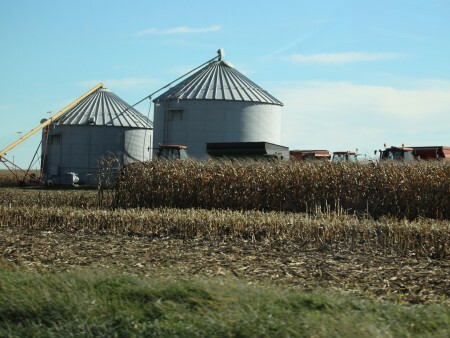 COLUMBUS, Oh — Ohio corn and soybean farmers likely won’t see a lot of changes in the next federal farm bill, according to an expert from the College of Food, Agricultural, and Environmental Sciences (CFAES) at The Ohio State University. “There’s momentum for minimal changes, but there are some key issues that have to be resolved,” said Carl Zulauf, an agricultural economist and professor emeritus with CFAES. Among those issues are funding to support cotton and dairy farmers, research, and water quality. The current farm bill is scheduled to expire on Sept. 30, 2018. This legislation affects the livelihood of farmers and others because it funds a host of programs including crop revenue and price support programs that provide assistance when farm income or crop prices drop. And in recent years, the trend has been toward lower commodity prices and declining overall farm revenue. Across the nation, dairy farmers feel they’re not getting enough assistance from the federal government, but the dairy industry is divided on what type of program it wants, Zulauf said. Currently dairy farmers can participate in a government-subsidized insurance program that pays them if the difference between the cost of feeding cows and the price farmers get for their milk is too narrow. Large and small dairy producers want different modifications to the insurance program. “It’s hard for policy makers to make changes when the group they are trying to help can’t agree,” Zulauf said. Cotton farmers too are vocal about the need for more federal revenue supports. Though cotton doesn’t grow in Ohio, farmers in the state could be affected if money is shifted to fund better support for cotton farmers and away from financial safety nets in place for farmers of Ohio-grown crops. The current federal commodity programs for soybean and corn farmers are generally popular. Corn and soybean farmers can enroll in either Agricultural Risk Coverage (ARC) or Price Loss Coverage (PLC). Farmers who enroll in either program receive a payment when a farmer’s overall revenues or crop prices dip below a certain guaranteed amount. The most recent farm bill, which was passed in 2014, was designed with the anticipation that farm income would decline, said Ben Brown, who manages CFAES’s farm management program, which provides farm policy and market information to Ohio farmers and others. In 2015, when farmers could first sign up for the ARC or PLC programs, the majority of corn and soybean farmers opted for the ARC program because they anticipated better returns from the program, Brown said. But this year, if the programs are not changed, more farmers likely will enroll in the PLC program because the price of commodities has gone down so significantly, the PLC program likely will offer better returns, Brown pointed out. “Still, the majority of farmers would rather have stable markets than having to rely on government payments,” he said. The farm bill also includes conservation programs. Some policy experts are concerned that the current farm bill’s programs are not as effective as they should be, Zulauf said. “It’s not just a question of the level of funding, but also whether the programs are improving environmental quality, especially water quality,” he said. Although the current farm bill expires Sept. 30, there’s no indication when Congress will pass a new bill or if it will opt instead to extend the current bill for an additional one or two years.